5th XI in South East 3 (withdrawn 9th Oct 2018). 3rd XI and 4th XI in Petroc 2. 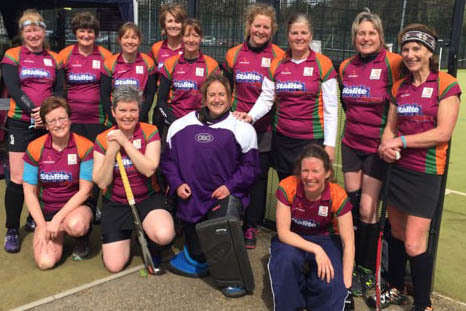 We also offer opportunities for mixed and veterans’ hockey as well as Rustys’ hockey for those looking to return to the sport after a lay-off or adults looking to take up the sport for the first time. Our social centre is Sidmouth Cricket Club at The Fortfield in Sidmouth, with our home venues for matches shared between Sidmouth Leisure Centre and Ottery St Mary Leisure Centre; see Facilities.